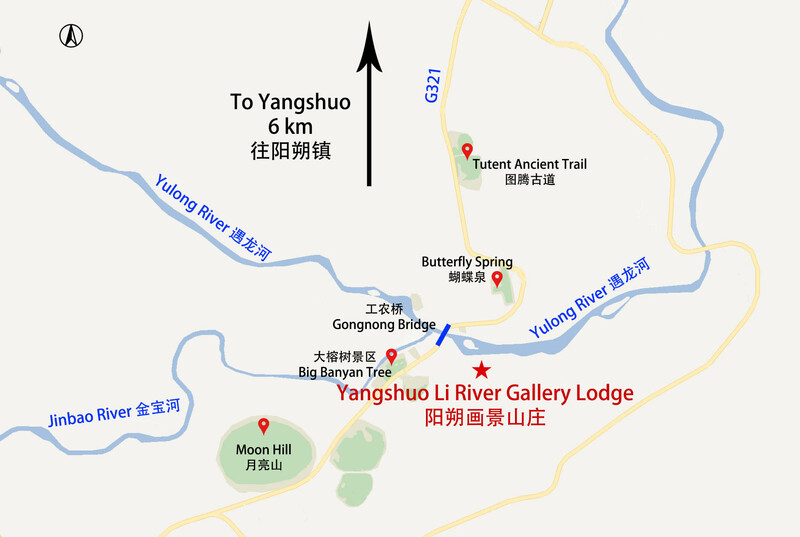 From Guilin, drive north on G321 or G76. Enter Longji Terraced Fields and arrive at parking lot of Ping An Village. 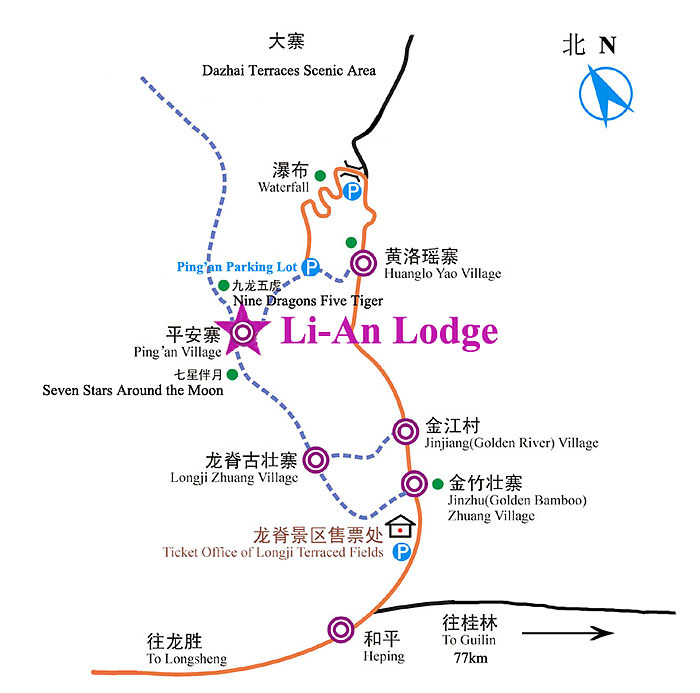 Hike uphill 25 minutes to reach L-An Lodge. 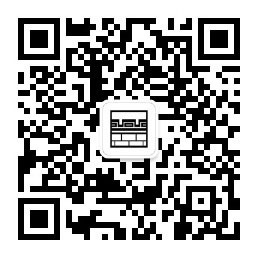 From Yangshuo, drive south on G321 for 6km. Cross Gongnong Bridge, turn left and walk 200m. 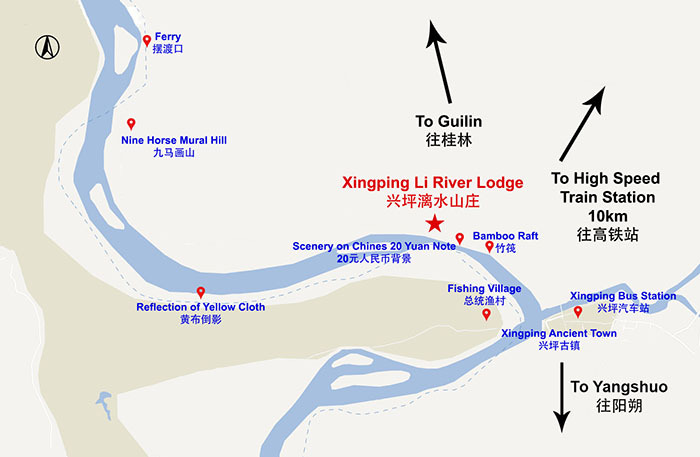 Cross bridge in Xingping Town, drive along Li River towards Nine Horse Mural Hill for 1.5km. At crossroads of Liran Hotel, turn right, walk 100m.